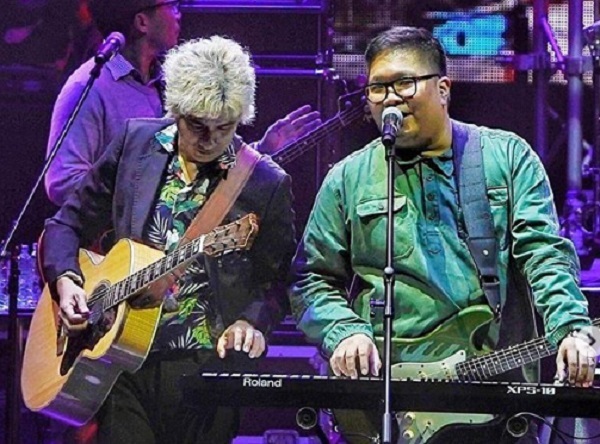 Ely Buendia took to his social media accounts Sunday to express his respect for Itchyworms in words. This came after their successful concert, dubbed 'Ely Buendia and The Itchyworms: Greatest Hits,' held at the Newport Performing Arts Theater on Saturday, February 9. "So much respect for worms’ talent and professionalism," said the former Eraserheads frontman. "If they had been at the first wave of 90’s bands alongside the ‘heads they would’ve definitely given us a run for our money!" he added. Wanna know what happened in during the concert? READ HERE!